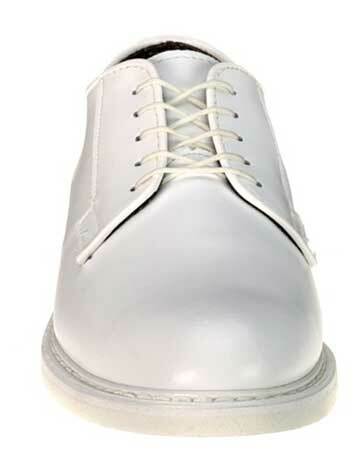 The Bates 0131 white uniform oxford makes an ideal uniform shoe for US Navy Class A uniforms and is apporved by the US Navy. 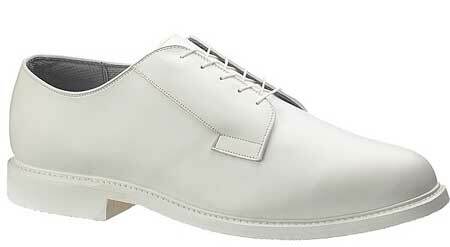 The white leather oxford from Bates Footwear is designed to offer comfort and durability, perfect for Navel personnel. 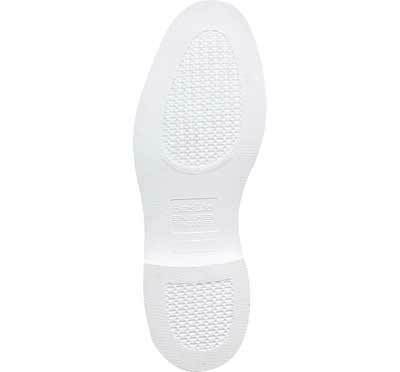 This Navy uniform shoe offers comfort with a leather upper, breathable lining and a cushioned removable insert, keeping your feet more comfortable regardless of how long you may be on them. A non marking Bates Lites rubber outsole and a classic Goodyear welt construction, make this Bates uniform Oxford one of the most durable uniform shoes available on the market, while also allowing them to remain classy. 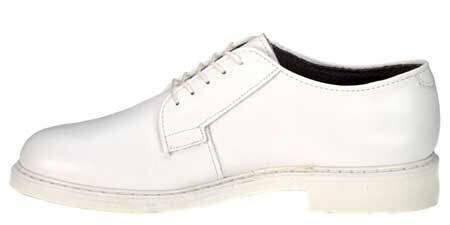 Whether you're looking for a comfortable uniform shoe to match an all white getup, or you're serving in the Navy, treat yourself to a pair of these Bates 0131 white uniform shoes and make sure that you are always comfortable, in uniform or out.